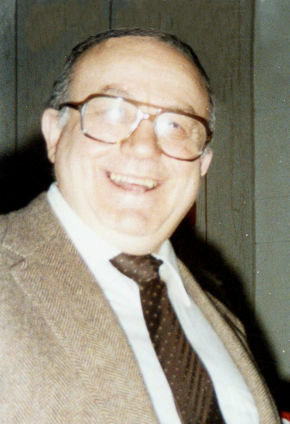 Joseph Bordinero, 88 of Fair Lawn, NJ passed away on Saturday, February 2, 2019. He was born in New York City and raised in North Bergen, NJ he resided in Leonia prior to settling in Fair Lawn 13 years ago. A veteran, he proudly served his country in the United States Air Force during the Korean War. He was a member of the Hawthorne Gospel Church in Hawthorne. An active member of his community, he was a former head usher at Fairview Gospel Church in Fairview and lead the exercise program for seniors at the YMCA in Hackensack. Joseph enjoyed dancing and playing billiards, but most importantly he loved to spend time with family and friends. Prior to retiring, he was an electrician for the Maxwell House Coffee in Hoboken for 35 years. The family will receive relatives and friends on Tuesday 2 – 4 & 7 – 9 PM at Vander Plaat-Caggiano Funeral Home Inc., 13-31 Saddle River Road, Fair Lawn, NJ 07410 (201) 797-3500. A funeral service is planned for Wednesday, February 6, 2019 10:00 AM at the funeral home. Interment will follow at Fairview Cemetery in Fairview. In lieu of flowers, donations in memory of Joseph may be made to the St. Jude Children’s Research Hospital, 501 St. Jude Place, Memphis, TN 38105. Dear Anna, Joey, Danny & Family: We are so sorry to learn of Joe's passing. I think about our first meeting at Fairview Gospel Church and our immediate connection. Joe always wanted to laugh and always had a smile for you. Life takes us in different directions and we lose touch. But the memories we have can never be erased. A true gentleman has left us. I'm am truly sorry that I cannot attend the services due to family obligations. I want you to know that you will always be in our thoughts and prayers. With deepest sympathy, Nick and Bernadette Salemme.